ArcadiaLED LED Acrylic Letters is only 3CM in depth which is much low profile than traditional channel letter. It is extremely suitable for small to medium signage. It is softer illuminated and details are much finer, it is possible with close viewing distance e.g. in-shop signage. 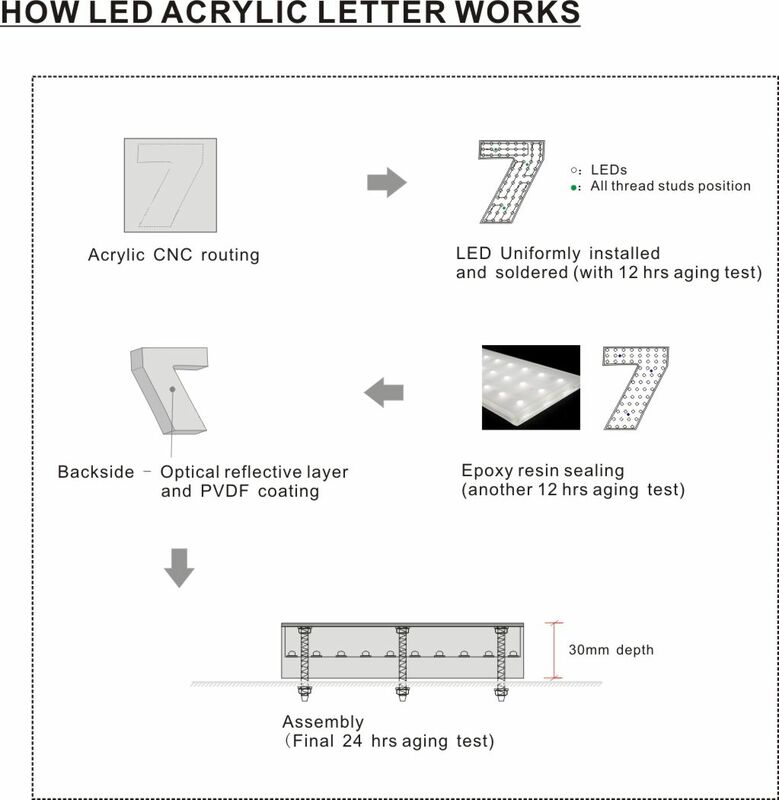 Different from LED channel letter, LED Acrylic Letter could achieve extra lighting styles like front and side lit, side lite, half-side and back lit etc.